I Was In An Accident With An Uber Car! Now What? Ridesharing has become extremely popular in Florida during the past few years for a variety of reasons. The convenience factor is high, as well as the issue of safety on a night out if alcohol has been involved. However, like anyone, Uber drivers are human, and they will occasionally make the wrong decision, getting you into an accident. It may be confusing to figure out how to deal with it, as cases involving rideshare cars can be quite complex, but they are usually entirely winnable as long as one understands the law. While Uber has requirements posted on their website for each city, Florida has specific regulations that all drivers and vehicles must meet, and sometimes the two do not match. In other words, sometimes states and cities have more stringent insurance requirements than Uber demands its drivers have. Florida specifically requires that all drivers carry both personal injury protection (PIP) and property damage liability (PDL) insurance, and this does apply to Uber drivers, though not specifically to their cars – it follows the driver, not the vehicle. Uber’s requirements for cars to be used by their service are fairly simple and straightforward. The page for the requirements to drive in Orlando states that any four-door car may qualify to drive with UberX (its discount rideshare) as long as its model year is no earlier than 2002, and no cosmetic damage or commercial branding is apparent. However, the city of Orlando has stricter safety requirements, and as of this writing, a permit is necessary to be able to legally collect ride-share passengers within city limits. The permit may be done away with, but as of early 2017 it is required, though Uber makes no mention of it on its website. Your driver may be fined if he or she does not have one, which can cause confusion and inconvenience to you. One of the primary questions after an accident is how to handle insurance, and with ridesharing it can be complicated. Formerly, Uber would ask their drivers to attempt to pursue accident claims through their personal insurance policies, but personal insurance does not cover passengers in Florida (or in many other states) when someone is driving for a fee. A personal policy would cover the driver and their family, and personal passengers – in other words, acquaintances or other friends not being charged a fee for the ride. After a backlash, Uber began to cover their drivers with standard liability insurance, but this can nonetheless be hazardous in Florida, as both PIP and PDL are required, and not every ‘standard’ policy contains coverage for both. Indeed, given that Uber has stated that their insurance policies are on par with those for limousines and taxis, neither of which offer PIP. If you are in an accident with an Uber or Lyft, the outcome may be hard to determine unless you consult with someone who knows the law. 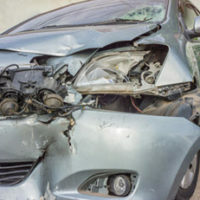 The skilled Orlando automobile accident attorneys at the Hornsby Law Group are happy to assist you in determining the best course of action for you to take. Contact us today to set up an initial appointment.